Over 200 Challenging Experiments. 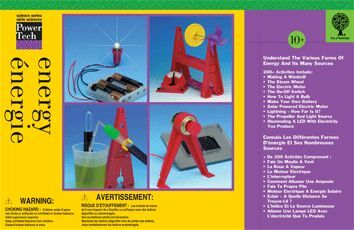 With this kit you will understand the various forms of energy and its many sources. Learn about making a windmill, the steam wheel, the electric motor, the on-off switch, how to light a bulb, make your own battery, and much more!